Two years ago, I feared for my life as I never had before. I have come to accept earthquake as a naturally recurring phenomenon in Japan. Every so often, we experience tremors we consider as “within normal limits” given the country’s highly active seismologic nature. But the March 11th episode that hit Eastern Japan was one that I haven’t witnessed since. It all started with a mild tremor that slowly shook the earth. It’s gradual but steady increase in intensity had me scrambling down for cover, calling on Mary and all the saints for protection, pleading on the Almighty for salvation. On all fours under the computer table, I listened in terror to the jolting, squeaking, screeching, cracking sound everywhere, and watched with horror the world around me sway to the beat of the ground beneath. Time stood still, and for a moment, nothing else mattered but my own life in danger; nothing else on my mind but the vision of the world crumbling down on me; and no other question I vehemently needed an answer to except, “Will I come out alive?” Fortunately, I did, after what must have been like a night-long nightmare. Everything else that followed were frightening consequences that unfolded one after another. I found comfort within the school premises and around my immediate neighborhood, and solace in the company of students, colleagues and friends. The nuclear threat stirred national and global concerns for safety and has driven many foreigners back to their homeland. It was heartrending to see the impact of the tragic earthquake on people’s lives, especially on those directly affected by the tsunami. The trauma I had was nothing compared to the affliction that befell on the victims. And today, we commemorate the tragic event that swept villages and cities and took away thousands of lives. At 2:46pm (the exact same time the earthquake hit Tohoku-Kanto region), the whole nation observed a minute of silence in honor of the victims and all the unsung heroes and heroines on that fateful day. 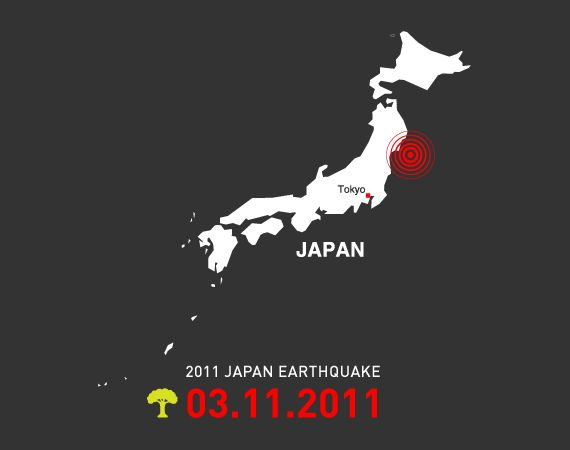 Japan incessantly works to recover and rebuild its lost cities, and we continue to pray for safety.